This month we are covering all the crucial aspects of ATE Tankers, the Australian manufacturer of road tankers. So far we’ve covered technology and automation – two key instruments any business needs to stay competitive on the market. However, quality can either make or break a brand. Let’s see how ATE Tankers is committed to quality and safety standards. ATE believes it is not enough to simply comply with quality and safety standards. The company is all about setting new standards for the rest of the industry to follow and it hopes to influence future regulations on road tanker safety. “We have a relentless commitment to improving quality, safety and innovation and believe that there is always a better way of doing things – you just need the drive and passion to work harder,” states CEO, Dan Mejak. ATE’s manufacturing process is controlled very carefully on-site and includes stage-gate inspection and assessments every step of the way. Each stage-gate involves diligent control of raw material and processes, including testing. 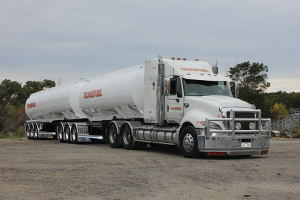 The company complies stringently with, and exceeds a range of Australian Standards and in addition, has been awarded the iconic Australian Made Certification for its road tankers. ATE Tankers is currently the only supplier certified in Australia. The company stresses that it is focusing more and more on quality control as quality requirements become more rigorous within the fuel tanker industry. In order to ensure quality standards are met properly, the company has implemented numerous procedures, policies and programs. “Our tankers are certified Australian Made and everything is conducted under one roof. That means that the management team has full control and accountability over every process. Management involvement occurs every step of the way. Clients can also view their tanker in production as it is being built,” the company states. Written procedures and stringent compliance with all Australian Standards; agile, stage-gated testing; continuous training and learning programs for all staff on floor are just some of the quality measures undertaken by the company. All staff is employed permanently, as opposed to contract. Baker Technical Service Pty. Ltd.